An Italian giant starving for European honours, Juventus are doing everything they can to win the Champions League trophy they have chased for over two decades and nothing announced that desperation more than the purchase of the reigning Ballon d'Or winner , a 33-year-old CR7. Rather than depend on Ronaldo - sent off in Juve's opening match and without a goal so far in this Champions League campaign - Federico Bernardeschi dazzled and Miralem Pjanic converted against Valencia and Paulo Dybala hit three alongside Mario Mandzukic against Young Boys. A player with infinite potential who has struggled to impress in the big moments when all eyes have been focused on him, but this season he's thriving alongside the many team-mates he knows are competing for a place in the starting XI. Ronaldo brings supreme quality and a winning mentality but the talents flanking him and the club's squad depth is the main reason why Juve could be the team to beat in Europe. They can deploy Mandzukic and Ronaldo upfront with Emre Can and Sami Khedira in midfield and bully their way from top to bottom, making the most of their aggression, strength and power. 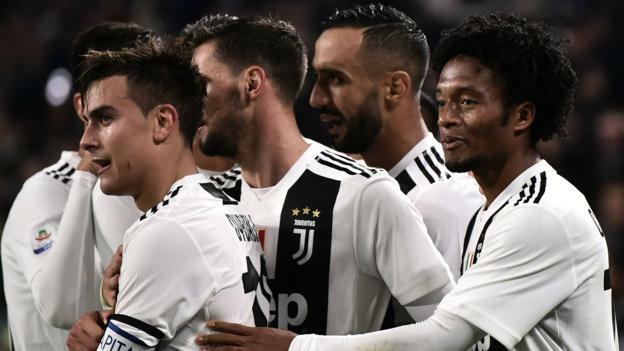 Or they can rely on Dybala and Rodrigo Bentancur who, as evidenced in that match against Jose Mourinho's men, is the master at positioning himself well, cutting out passing lanes and delivering technique and accuracy.